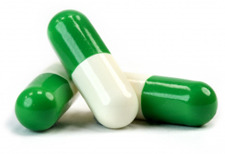 Prescriptions may be issued for regular medication, which your doctor has authorised as a repeat item. Requests can be made in person at the reception desk, in writing, by post enclosing a stamped addressed envelope, by telephone or fax or by leaving the computer generated list on the right hand side of the prescription. Repeat prescriptions will be processed and ready for collection within 48 hours	. Please ensure you order your repeat prescription in advance of running out of your medication to ensure treatment is continuous. PLEASE NOTE; Chemists are now charging a fee for emergency supplies of medications. Requests for non-repeat prescriptions will be passed to the nurse/doctor for attention. All patients on repeat medication will have their need for the medication reviewed annually. Some patients will be required to attend the Nurse or doctor. Patients who do not attend for medication review will have to contact a doctor each time they require a repeat prescription. Prescriptions may be collected at surgery reception. The local pharmacies collect prescriptions directly from the surgery and patients will be asked at the time of ordering their prescriptions if they wish to use this service. Prescriptions will be posted directly to patients on provision of a stamped addressed envelope. The practice will also post prescriptions to pharmacies in neighbouring towns but this will mean a delay in the prescription being available for collection ie 72 hours. Prescriptions will not normally be handed out to children.